There are various compounds that are vital for allowing your body to produce energy. Your body needs fuel in the form of fats, proteins, or carbohydrates. Your body also needs an abundance of compounds like CoQ10 to ensure the body can make ATP, which can be converted into energy for you. Cells store a very limited amount of ATP for energy. 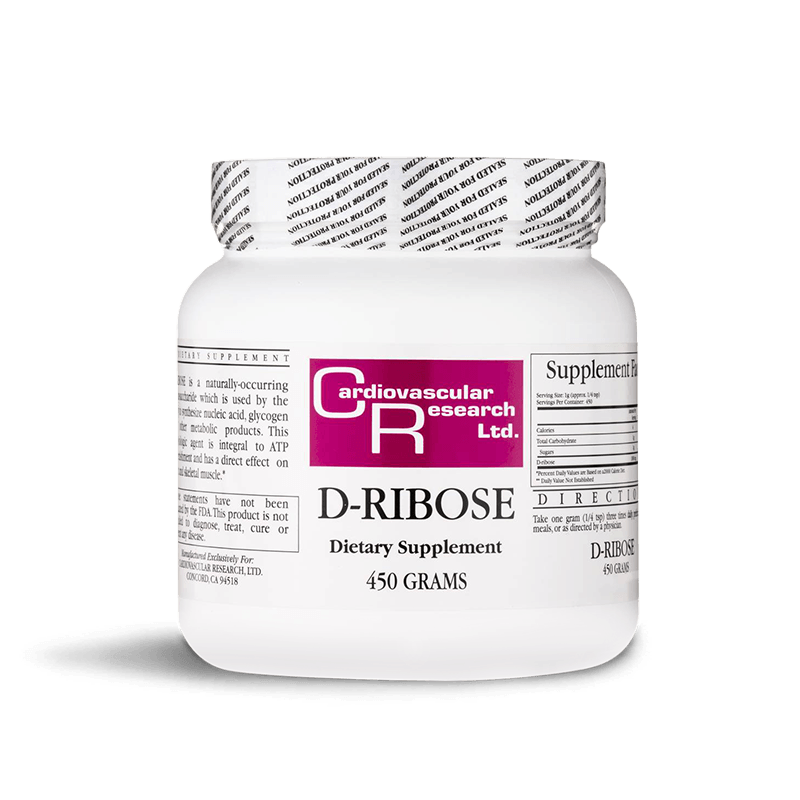 To replenish these stores after movement or exercise, the body needs access to D-Ribose. Ecological Formulas D-Ribose 450g is a naturally-occuring monosaccharide which is used by the body to synthesize nucleic acid, glycogen and other metabolic products. This physiologic agent is integral to ATP replenishment and has a direct effect on heart and skeletal muscle. Take one (1) gram (1/4 tsp) three (3) times daily, preferably before meals, or as directed by a physician.